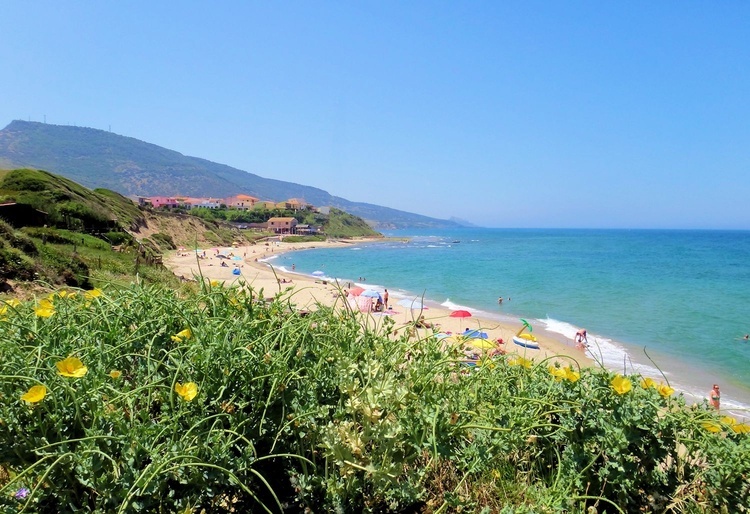 The very beautiful holiday houses, calmly situated, built at the Mediterranean style, embedded into a wonderful landscape, are in the locality La Ciaccia (Valledoria) in the centre of the north coast close to Castelsardo, at 200-400 m distance to a very beautiful sandy beach. 07039, Europe, Italy, Sardegna, Sassari ,Valledoria. 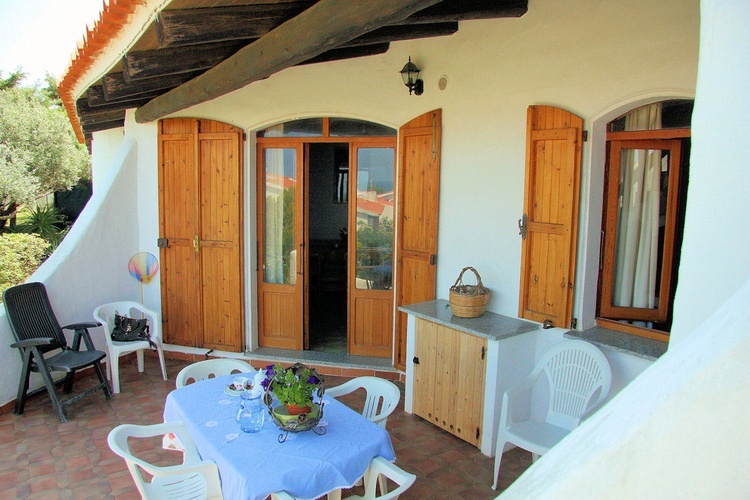 Small villa with sea view, private garden, furnished terrace and barbecue. Vacations in a familiar atmosphere with professional service. The home features a double bedroom, bathroom (shower, bidet and toilet), living room with sofa bed, kitchenette (4-burner stove, oven and fridge with separate freezer), Sat-TV, furnished terrace, barbecue, sea view and parking. A real reason to visit Sardinia. 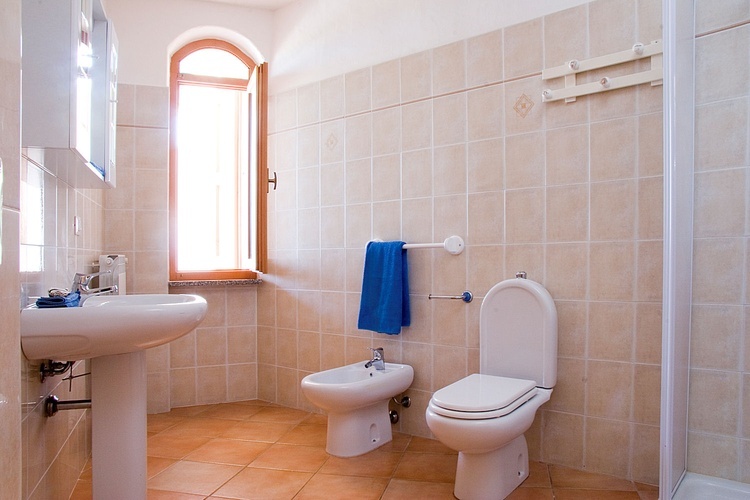 The very beautiful holiday houses, built in Mediterranean style, are located in the locality La Ciaccia (Valledoria) in the center of the north-western coast of Sardinia. The holiday houses - calmly situated - are embedded into a wonderful landscape. In only 200-400 mts one will find one of the largest sandy beaches of Sardinia. Close to our place you will find Castelsardo, an amazing small town (founded in the 12th century) which offers its guests a jump into the Sardinian history. Each holiday house was individually designed, comfortably furnished and offers a terrace with a fireplace or barbecue and garden. Almost all houses also have a roof terrace including a sea view. The distance from the holiday houses to the local sandy beach is only 200-400 m.
The houses are fully equipped, ie the accommodations are fully furnished and also have all the necessary utensils for cooking and eating. 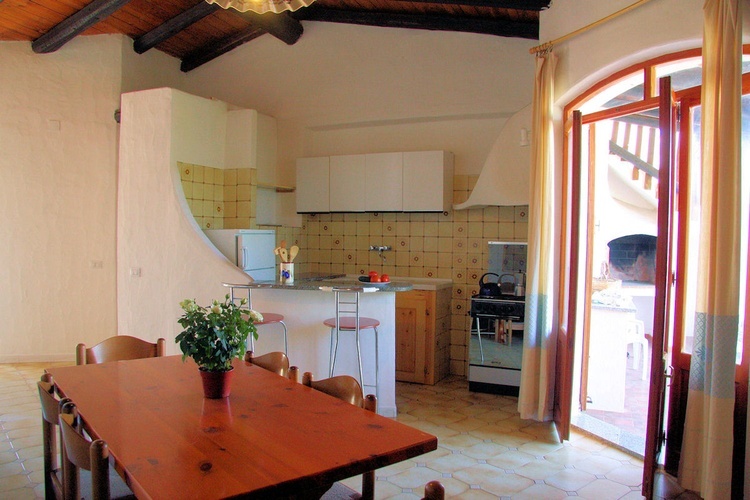 Furthermore, all holiday houses offer an iron and nearly all satellite TV and washing machine). In case something missing or getting broken our family will endeavour to supply a substitute (the accommodations also offer an iron). The holiday ground offers possibilities for enjoying volleyball, soccer and boccia. Children will find ample space for playing also outside the gardens. In the lounge of the reception we offer our guests INTERNET (Wi-Fi). 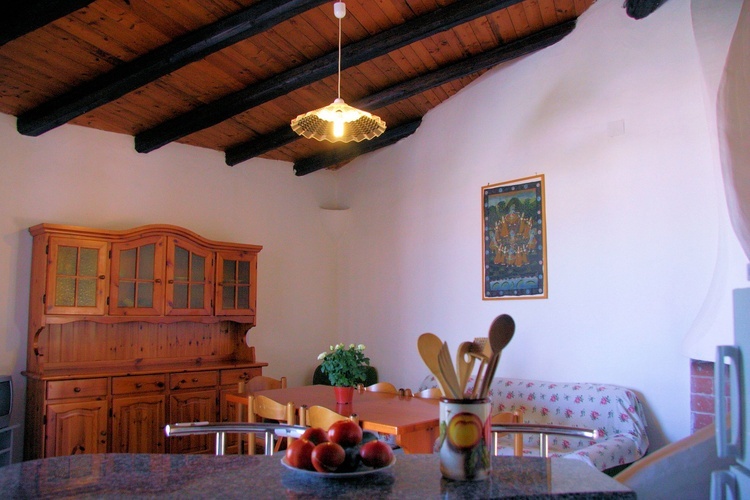 The calm but central position of the holiday houses in Sardinia offers its guests a multiplicity of enterprises to discover Sardinia. 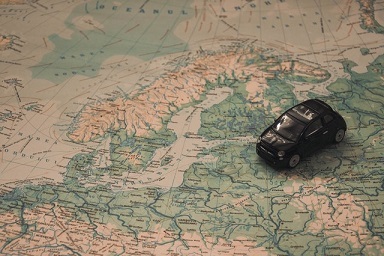 What is special with our service and the location of our accommodations? 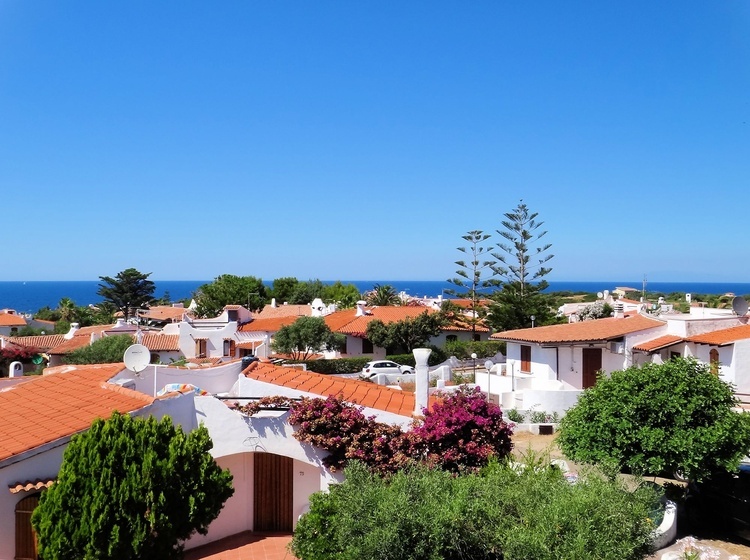 3 Ideal holiday place for families: calm place, ample space and fields to play, little road traffic, short distances to the local sandy beach, shops & restaurants, plenty possibilities for sport,…. 6 A spacious and snug reception offering multiple services: Internet (wifi), Sat-TV, tourist information of the various kind, corners for children to play, library, table tennis, cricket, badminton, …. 8 Bicycle rental: We rent bicycle (road bikes, mountain bikes and bikes for kids). In addition we offer also a bike repair shop. 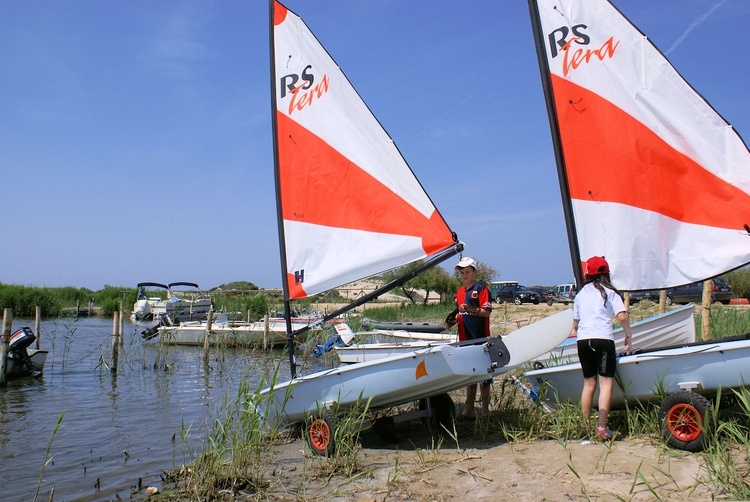 13 All year round sport activities: sailing lessons and sailing boat renting, surf and diving lessons, SUP, kite surfing, boat trips and renting, trips on the river Coghinas, trekking, cycling,…. 14 We organise cycling and hiking tours (also guided tours) al year. 15 Shopping, restaurants, ice-scream shop, bars, bakery, church are in reach within only a few striders. At least 2 local supermarkets are also open on Sunday morning all the year. The surroundings of Valledoria are rich and varied: green forests, lakes, rivers, mountains with a wonderful view, pleasant hills and plains make gladden the heart. A hike from the sea in the Hinterland, with mountain bikes or in the car is a great adventure, an uninterrupted voyage of discovery. Thanks to the tradition still lives, you can see the testimonies of the Sardinian culture. From Valledoria you can easily reach the most beautiful locations, the richest and most interesting traditions of our island. Places to see across a wide range of interests. The coasts of Alghero, Stintino, Costa Smeralda, Castelsardo, Costa Paradiso. Cultural monuments such as the Nuraghe of Santu Antine, the necropolis Of Anghelu Ruiu, the Basilica of Saccargia, Mount Accoddi and the Holy Well. natural monuments such as the Petrified Forest, the Caves of Neptune, the Baths of Casteldoria, the Elephant Rock and much more to discover. 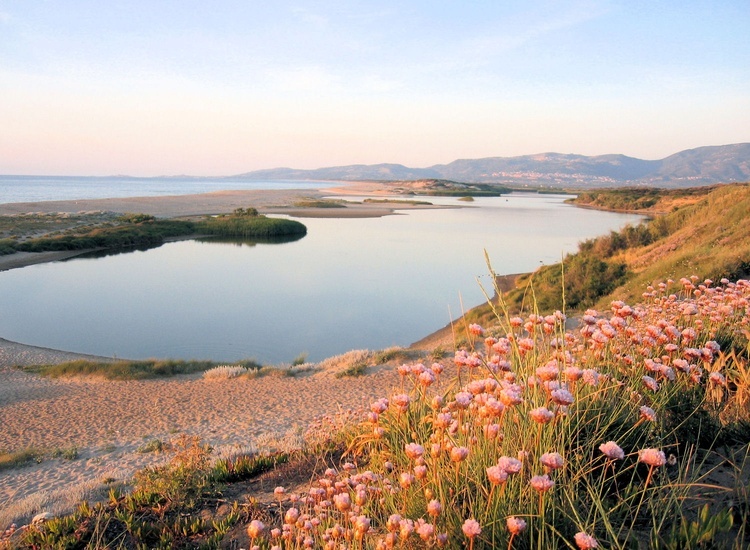 Sardinia offers to all its guests a wide range of adventurous and relaxing activities: the sea crystal clear water captivates the snorkelers, scuba diving, surfing (kite and wave), sailing and fishing. 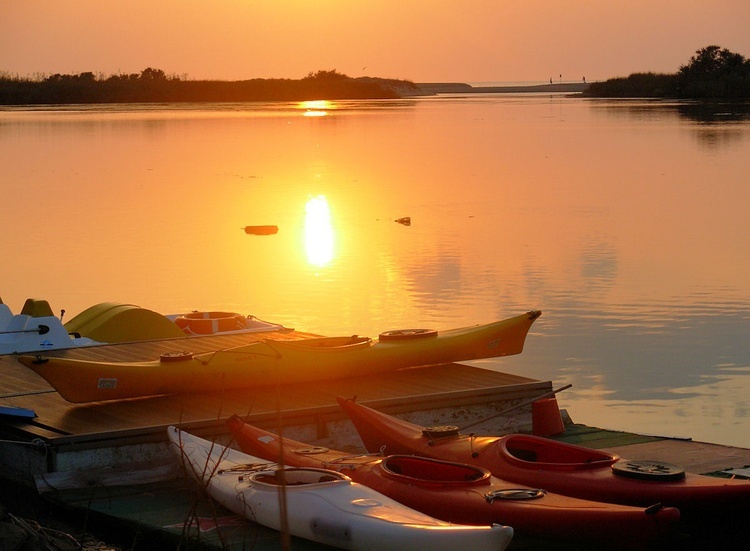 While the picturesque scenery and unspoiled nature excites those who practice hiking (hiking, Nordic walking and canoeing), mountain biking, horseback riding and bird-watching enthusiasts. The attractiveness of Sardinia is also confirmed by the increasing number of major sporting events at national and international level that are held every year on the island (especially the various rally racing, surfing and sailing). Sa Fiorida offer all its guest of the holiday houses, homes and apartments, active holidays and sports activities such as canoeing, cycling or mountain biking, sailing, diving, water aerobics, hiking, snorkeling ..